The AGES-Reykjavik: Study conducted by the Icelandic Heart Association and co-funded by the National Institute of Aging (USA). One of the largest and most comprehensive cohort studies on aging in the world. Its main focus are the interactions between age, genes and the environment and how they are reflected in disability in old age or through common age associated diseases such as cardiovascular disease, dementia and osteoporosis. Decode Genetics: Some genetic studies particularly related to dementia. NIDD studies, studies on dementia diagnostics. The SENATOR study: European multicenter study for the development of a software to review and recommend best drug treatment or alternative nondrug treatment of elderly individuals with multiple health issues. Inter-RAI studies relating to comprehensive geratric assessment and quality of care. 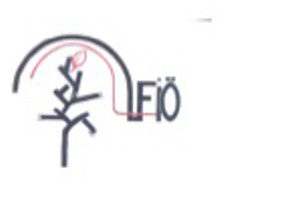 RHLÖ (The Icelandic geriatric research institute): A colloborative research institute between Landspitali University Hospital and the University of Iceland promoting multidiciplinary aging research currently with 7 PhD students.